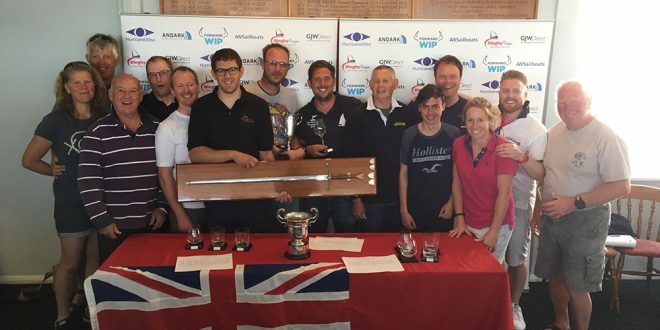 Over the weekend of the 10th and 11th June the Tornado fleet headed to Thorpe Bay for a weekend of racing to fight out who would be national champion. 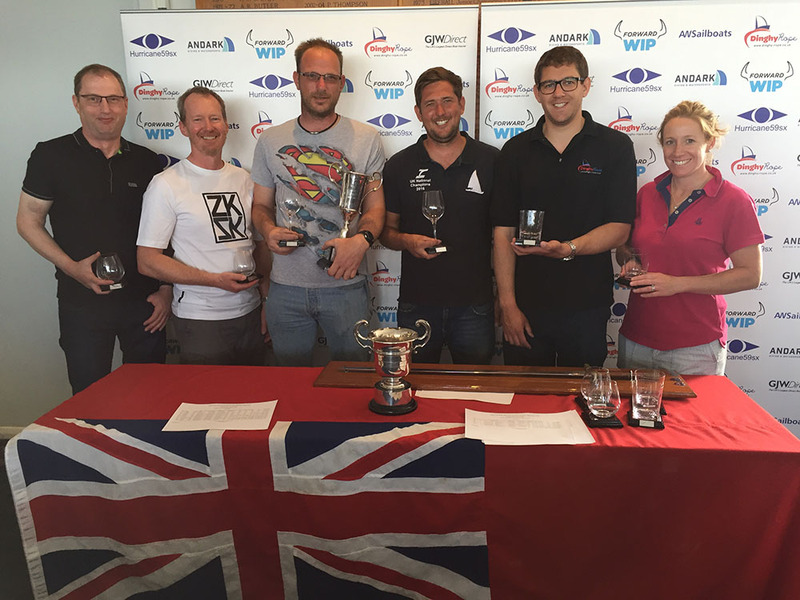 Six of the eleven boats competing in the nationals had a slight upper hand going into the event after attending a class training day with Chris Rashley two weeks before. The training day was held at Marconi Sailing Club over the bank holiday and the sailors then raced against each other for the next two days. A perfect warm up for the nationals. Most boats arrived on the Friday to get set up and ready for racing. The sun was shining and the breeze was blowing, a good sign of things to come. 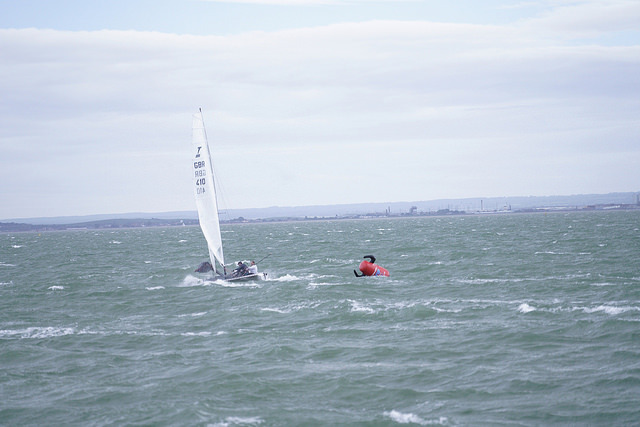 The Tornado sailors were also joined by the Hurricane, F18 and A Class fleets who were taking part in a fast cat open which was to be held alongside the Tornado National Championships. Saturday morning came and the wind was blowing a force 4 with glorious sunshine. With three races scheduled the fleet left the shore at around midday. After a clean start the first race had three different leaders at the windward mark, the first lap Steve Glynn and Tom Duckmanton were out in front, then Kevin Dutch and David Oakley then Michaela and Andrew Dowley. It was Kevin and David who braved the big rolling waves downwind to overtake Michaela and Andrew to take victory in race one. The technique seemed to be holding onto the footstrap while trapezing downwind, kite sheet in the other hand. Hats off to David! Unfortunately Kyle Stoneham and Paul Mines didn’t finish the first race with gear failure. Kyle and David managed to fix their jib track but Paul and Stuart were not so lucky with their snuffer snapping in half. The breeze was building for race two which lead to two capsizes by the bottom gate, a sudden forced gybe by Kevin and David tipped them in and shortly after Kyle and David rounded the gate with their kite still up, splash. This allowed Michaela and Andrew to pounce taking a race victory. Race three had similar conditions with bigger waves out at the top mark. The spectators on the pier must have had a great view of the mark roundings, plenty of spray and plenty of action. Kevin Dowley and Tom Brooks had a swim going upwind which lead to disaster as their boat sailed away once righted. They were both left hanging on but eventually had to go, the boat was apparently stopped by one of the tougher support boats. A real shame for them as they were sailing towards one of their best national championship results. Saturday was probably the closest racing the fleet has had for quite some time, really competitive with constant changing of places. Going into Sunday there were only six boats left, various breakages had wiped out half of the fleet. Just before the start Steve Glynn and Tom Duckmanton had a mast diamond bolt break so they headed back to the shore very slowly and carefully. At the first mark rounding Michaela and Andrews kite halyard shredded leaving them sailing towards shore to swap it out. Kevin and David sailed very well again to take the race win. During the first race the wind had increased with some monster gusts now coming through the race course, it was extremely lumpy at the top mark for the second race. It was a case of getting around safely. At one point David Oakley got wiped off their boat and managed to snap the tiller extension on the way. 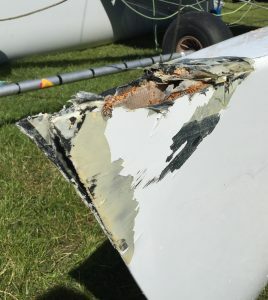 This left them single wiring upwind which had a huge impact on their speed. Michaela and Andrew went past on the upwind but there was no catching Paul and Richard who were on fire, although apparently Richard was asking for his Mum half way round…. After two races the race officer decided to call it a day so we all headed for shore, getting onto the beach with an onshore breeze in those waves was probably the toughest challenge of the day. The whole weekend was a baptism of fire for Max Jakes, the 16 year old had his first Tornado ride and sailed very well with Barry Arnison to take 4th place overall and I’ve personally never seen a smile so big all weekend. It was also great to see Dave King and Jenny Epps out sailing a classic Tornado during the event, they picked up a 7th and 5th on day one but decided the breeze on day two was just a bit too much. Thank you to Thorpe Bay Yacht Club for a very well managed event.